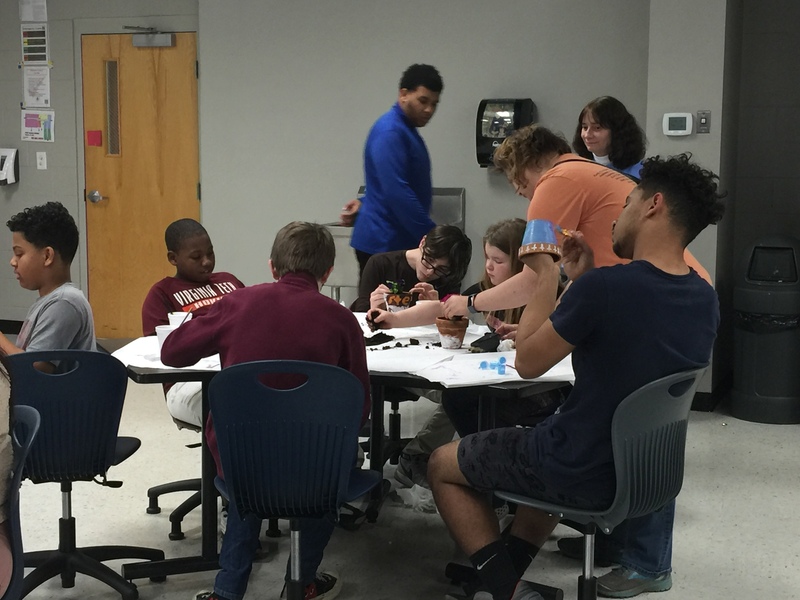 United Way Ambassadors and staff had the opportunity to help teach responsibility to kids attending Boys and Girls Club in Chatham. 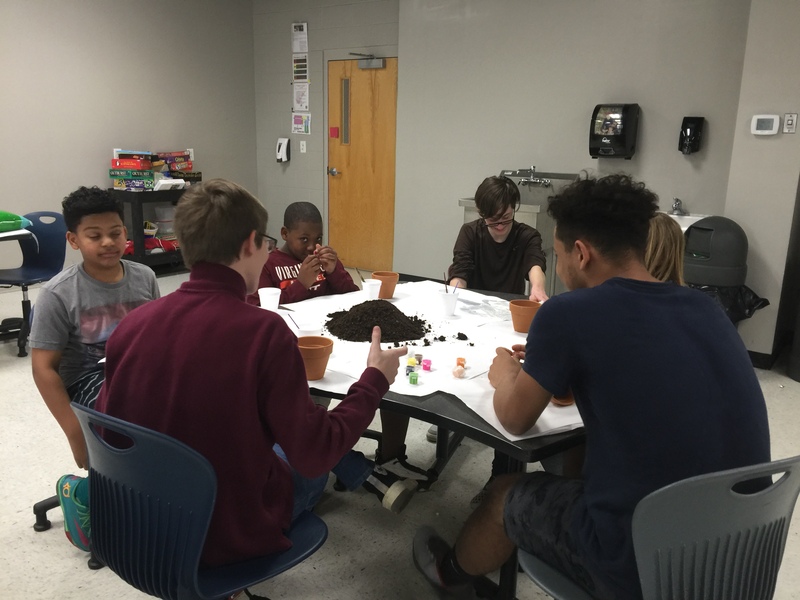 The kids painted pots and transplanted flowers and if they care for their flowers well over the next month they might be able to get a classroom pet. 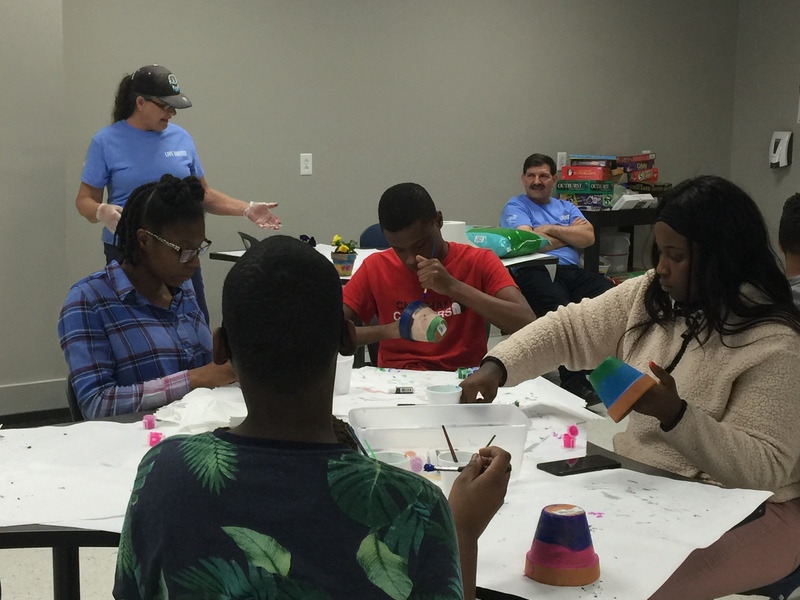 United Way Ambassador, Patricia Dudley, told the kids about how to take care of their flowers and what to do to make them beautiful! 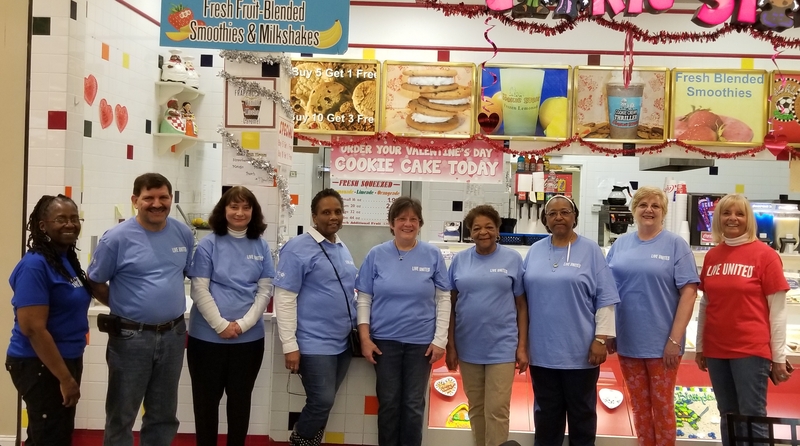 Bridge2Bridge, a fundraiser for Danville-Pittsylvania Cancer, will take place on Saturday, April 13th, and volunteers are needed. 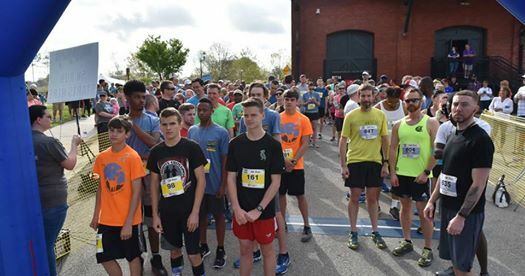 This is a 5K walk, 5K run, 10K run, kids 1-mile fun run, and 40-mile bike ride. We have many positions available, including water stops, set-up/clean-up, and course control. 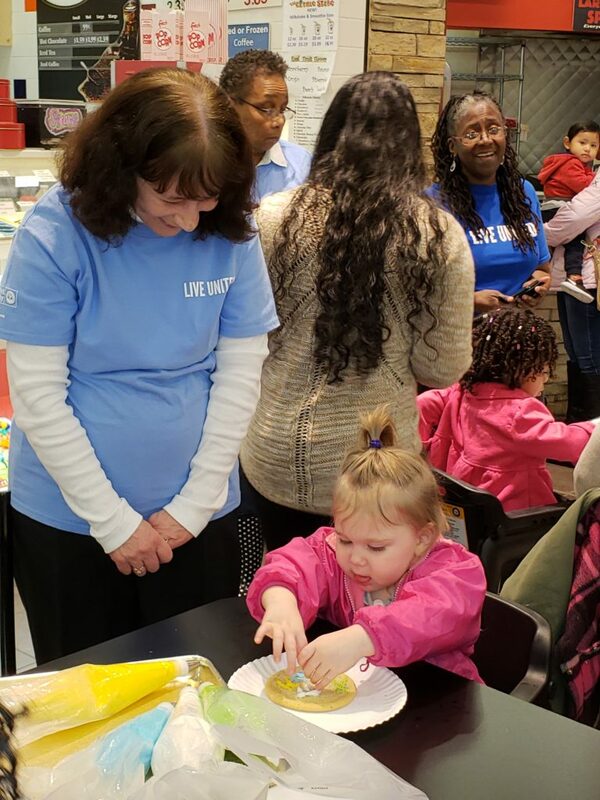 In February, United Way Ambassadors helped children decorate cookies to assist Danville-Pittsylvania Community Services Healthy Families program. 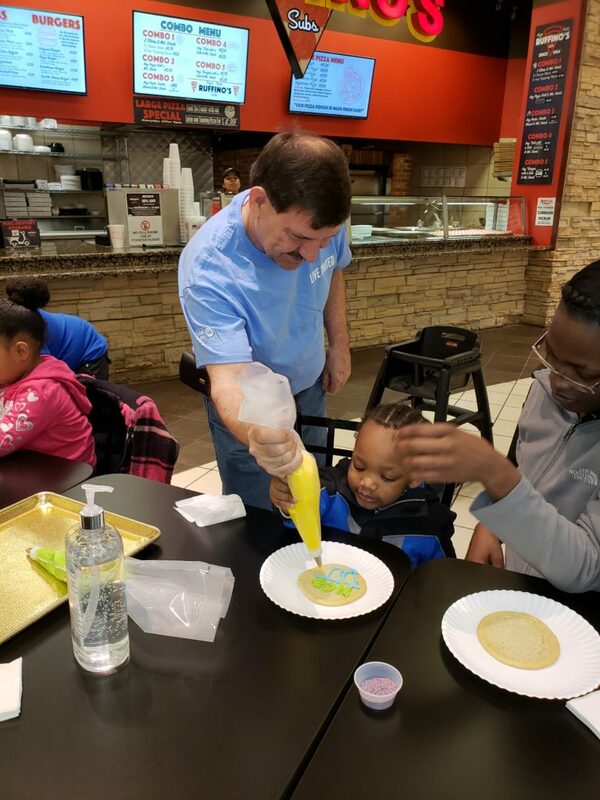 We aren't sure who had more fun, the kids or the adults! 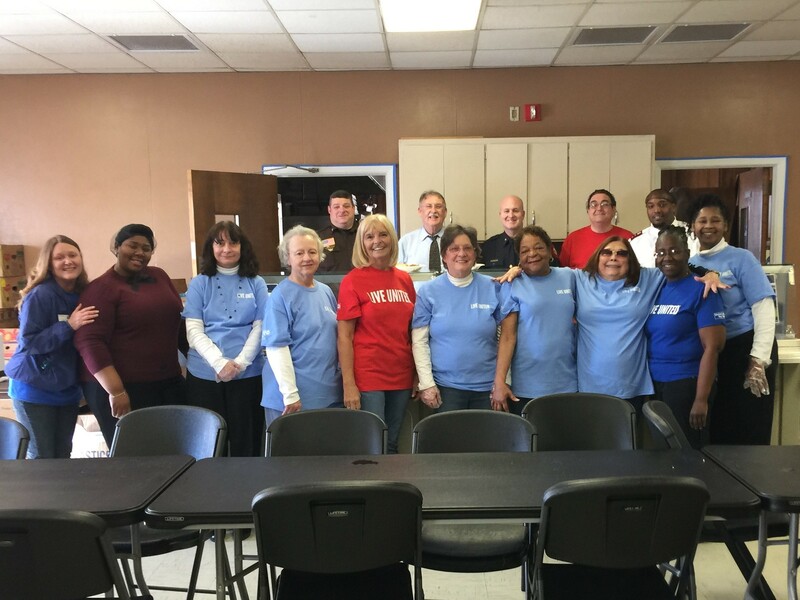 United Way Ambassadors, Board members, Campaign Co-Chairs and staff recently served lunch at the Salvation Army for "soul" Wednesday. 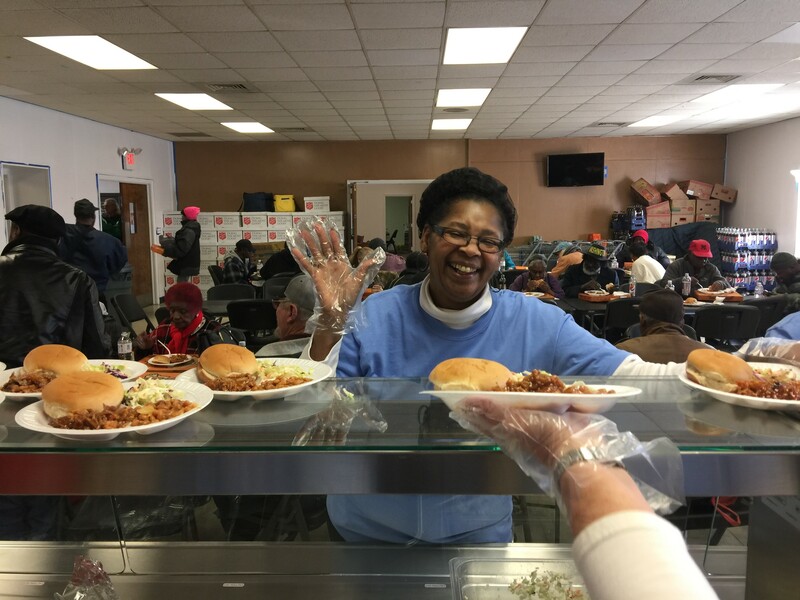 The Salvation Army serves food five days a week to people in need. 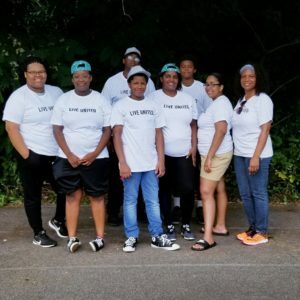 We appreciated being able to support them in this wonderful work. Volunteer Leon Zimmermann innovated the process for stuffing envelopes! Your United Way is not just about fundraising. 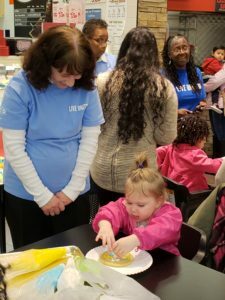 Throughout the year, the United Way of Danville-Pittsylvania County has requests from local nonprofits to assist with events, collect needed supplies, or help out in a crisis. This is why our United Way Ambassadors Program is so important. 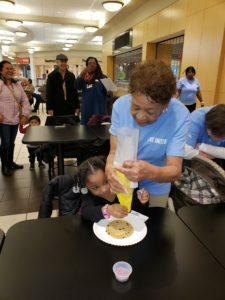 When we receive a request for volunteer help from a nonprofit, an email goes out to our Ambassadors with the specifics of the need. It may be to help with registration at an event, serve soup at a fundraiser or help collect canned goods or school supplies in your place of work. Ambassadors can decide whether or not they are able to assist with a request. If not, there are always more opportunities coming! 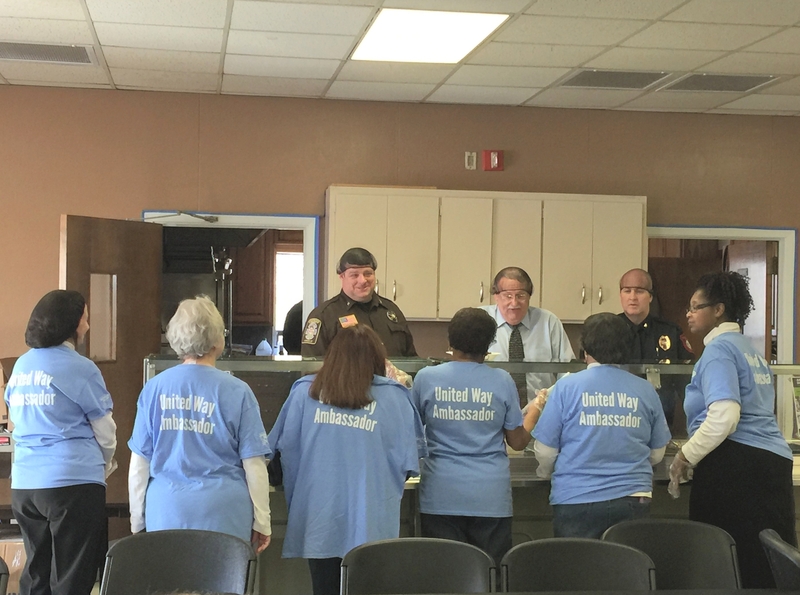 Our only requirement for you to be an Ambassador is that you wear our United Way Ambassador T-shirt (provided to you free of charge) each time you volunteer through the program. Want more information or want to sign up to be a United Way Ambassador? Fill out the Contact Us form or call us at 434-792-3700.